The Ifa Yoruba Contemporary Arts Trust (IYCAT) was founded in 1995 by Grammy-award winning percussionist Lekan Babalola. 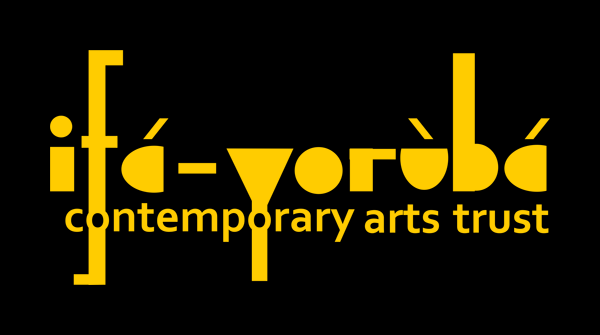 A unique arts and cultural charitable organisation, Ifa Yoruba is committed to sharing and maintaining the integrity and relevance of Yorùbá arts and culture in wider society within local communities, both in the UK and overseas. We initiate cultural projects that seek to identify and explore themes in the Yorùbá corpus. This is to engender a wider discussion in theory and practice across cross-platforms of culture both in UK and African Societies. Exhibitions, music concerts, and publishing are some of the avenues we employ to explore Pan-Yorùbá cultures. “Your data” means any data about you from which you can be identified such as your name, address, telephone number, email address, financial details or other data which you may disclose to us via this website (the “Site”) at any time. We do not collect or store your personal information (e.g. your name or address) in our website analytics. However, we can recognise that behaviours belong to a single person. The information collected helps us investigate whether each website meets its users’ needs as well as to evaluate how each website can be improved. We store information about what pages you visit, how long you are on the site, how you got here and what you clicked on. When you sign up to our newsletter we ask for a limited amount of information, including your name and email address. We only collect this data when we have your consent and will retain it on a secure database. We store this data for five years after your last interaction with us, unless you withdraw consent. If you withdraw consent it will be deleted within a month. When you complete a contact form, we collect your name, email address and any further information you choose to provide in your message. This information may be stored in our secure CRM system, if it’s necessary to record this for future communications. The legal basis for this is legitimate interest. If you consented to receive our newsletter this information will be retained on a secure database. We store this data for five years after your last interaction with us, unless you withdraw consent. If you withdraw consent it will be deleted within a month. If you consent to provide us with information via a survey, this is used to help us understand how we can make our service better. It’s stored on a secure platform and is removed after 1 year. Information that you have made available via your profiles. When you use a social media platform, details about how your personal information is held, is described within the relevant social media policy. We do not collect caller identification information when you call us. We will only collect personal information that you consent to provide it to us in order to deliver a service. When you contact us via email, we will retain your email and our response to it for as long as the business issue remains and there is a legitimate interest. We store this data for five years after your last interaction with us, unless you withdraw consent. When you purchase a ticket from our ticket agents, with your express consent, our ticket agents will share your data with us. Such data is transferred via secure means. We may offer products for sale or offer subscriptions for services. If you buy any of our products or subscribe for any other services offered on our Site, we will ask you to complete an order form that will request certain information from you, including financial information such as a credit card number and expiration date and general contact, billing and shipping information. We will use this information to complete the transaction that you have requested, i.e., to deliver the information, products or other services that you order, and to invoice you. Such information is collected and stored through encrypted means for your protection. Please note that tickets purchased through hyperlinks contained on our website are being purchased from our nominated ticket agents and you should contact them with any queries in relation to your purchase. We sometimes operate competitions through the Site which may require registration. The data you provide us with may be used to notify you that you have won, to confirm delivery of a prize or for other related purposes as set out in the respective terms and conditions of each competition. From time to time, we may publicly post some of your data on the Site, (for example on a ‘winners’ page). However, we will not post your data on the Site without your express consent which may be gathered in the form of a notice to you that by entering the competition you consent to the use of your data in this manner. If you provided your contact details to us at an event, for example a festival or workshop, we may contact you via email, post or telephone. The legal basis for this is legitimate interest. We store this data for five years after your last interaction with us, unless you withdraw consent. If we’ve already been contacting you via email or other channels before May 2018, and you have engaged with the content we will continue to contact you. The legal basis for this is legitimate interest. We store this data for five years after your last interaction with us, unless you withdraw consent. If you are a subscriber to our email newsletter, we will retain your data under the legal basis of legitimate interest and may send you marketing materials, unless you withdraw consent. Under the General Data Protection Regulations, you have rights as an individual which you can exercise in relation to the information we hold about you. You can read more about your individual rights on the Information Commissioner’s Office website. To exercise any of these rights, you can contact us. The Ifa Yoruba Contemporary Arts Trust are transparent and open in terms of giving people access to their personal information. You can find out if we hold any of your personal information by contacting us, or by making a ‘right of access’ request under the General Data Protection Regulation. With your express consent we, the Ifa Yoruba Contemporary Arts Trust, and if applicable, our partners or other trusted third parties may use your data for marketing, market research, promotions and related purposes. In the unlikely event that we sell or otherwise dispose of some or all of our business to another party, we reserve the right to transfer your data as part of any assets sold or disposed of. If you have previously given your consent to our passing your data to third parties or overseas and would like us to stop doing so, please post your written request to “Legal Department, Ifa Yoruba Contemporary Arts Trust, 71 Wilmore Road, Birmingham, B20 3JL” Your request must include your name, email address, postal address and phone number. Written requests sent by post must also be signed. Please allow seven working days for us to process your request. The Site contains links to other websites, for example links from advertisers, sponsors and partners. We are only responsible for the privacy practices and security of the Sites which we control. We are not responsible for the privacy policies, content or security of any linked websites. We recommend that you check the privacy and security policies of each and every website that you visit through our Site. An IP address is a number which is automatically assigned to your computer whenever you access the Internet. When you access this Site, we log your IP address and can identify you from it. Click-stream data is information collected by us when you navigate the Site, for example the specific web pages you looked at, the order you looked at them and the time of your visit. This data helps us analyse how visitors arrive at the Site and what content is most popular and we may use it for administration purposes or to report aggregate information to our advertisers and sponsors. A cookie is a small, often encrypted text file that is stored on your computer or mobile device by a website’s server and only that server will be able to retrieve or read the contents of that cookie. Each cookie is unique to your web browser. It will contain some anonymous information such as a unique identifier and the site name and some digits and numbers. It is used to help users navigate websites efficiently and perform certain functions. b) What cookies are used on this website? These cookies may be set through our website by other companies. Data may be collected by these companies that enable them to serve up adverts on other sites that are relevant to your interests. Every browser program (such as Internet Explorer, Firefox, Safari, Google Chrome etc) provides the ability for the user to configure their preferences. Refer to the help section of your particular browser to find out how to configure your own preference. i) What has changed and how does it affect me? We have always used cookies to create the most secure and effective website for our customers. As part of a change in legislation, all websites are now required to provide additional information on what cookies are, how they are used and what benefits they bring. These changes will not affect the way in which you currently use our website. ii) Do I need to accept cookies? iii) Do cookies mean I could get cold calls or emails? We never use the data gathered through cookies to contact you via post, email or phone. iv) Can cookies allow others access to my computer’s hard drive? The cookies we use cannot look into your computer, smart phone or web-enabled device and obtain information about you or your family or read any material kept on your hard drive. v) If I use a public computer, will someone be able to get my details from the cookies? Our cookies cannot be used by anyone else who has access to the computer to find out anything about you, other than the fact that someone using the computer may have visited a certain website. Write to us at: Ifa Yoruba Contemporary Arts Trust, 71 Wilmore Road, Birmingham, B20 3JL.